You’d think there’s not much left to achieve for an Indian artist who has won every major music industry award in the country. 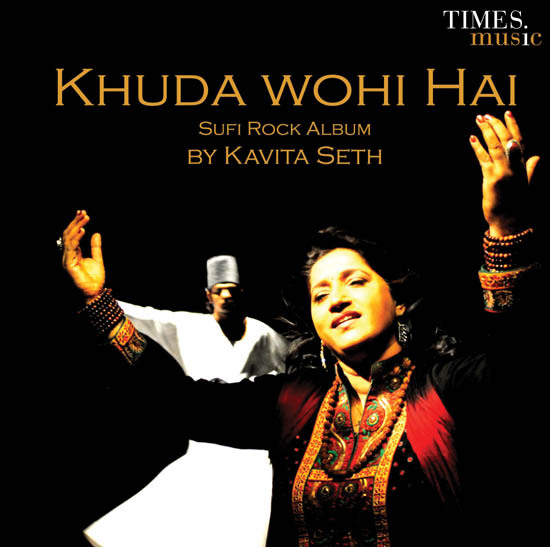 But Kavita Seth had other ideas when she decided to record her latest album Khuda Wohi Hain, released on Times Music. The album is testimony to her mastery of Sufi music that her fans are accustomed to. With 6 brand new tracks and 2 all time Sufi favourites Chaap Tilak & Damadum, the “iktara” singer who only seems to be getting better is nothing short of enchanting. Just a mere music fan or a curator of great sounds, “Khuda Wohi Hain” will have you singing to its tunes for a long time to come.